New from boutique lighting designer Ebb & Flow, scintillating Smykke is inspired by jewellery – featuring glimmering colours reminiscent of precious stones and a delicate droplet format akin to a sparkling earring or pendant, suspended in mid air from shimmering gold or silver wire. Each unique, versatile variation is guaranteed to brighten up any home environment – from dining rooms and bedrooms to hallways and living areas. 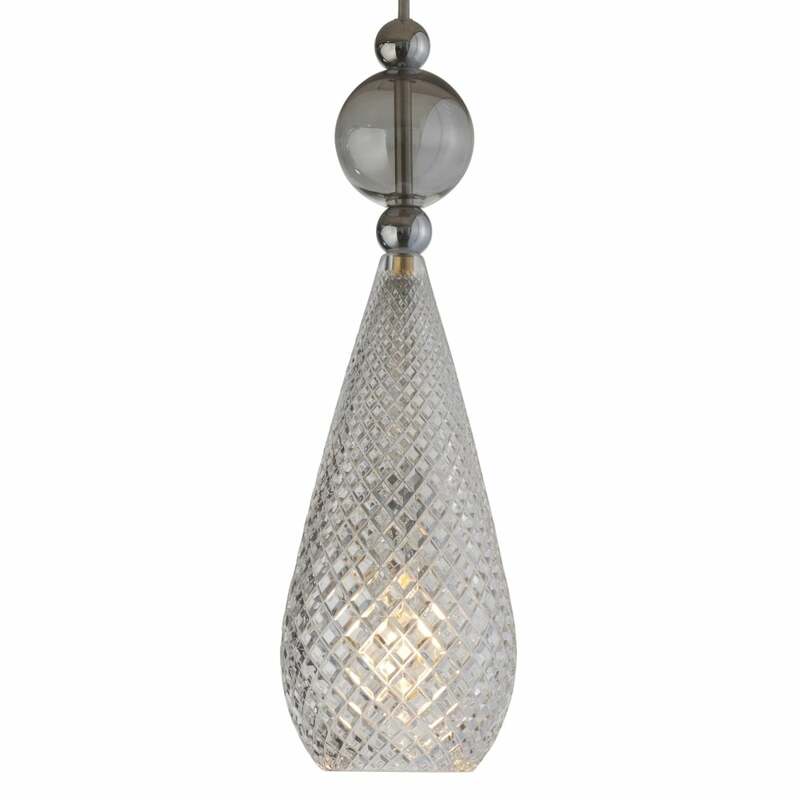 These particular stunning Danish designs are carefully crafted to blend an eclectic combination of lead crystal shades matched with mouth-blown glass balls and all accompanied by either gold or silver finishes, cords and ceiling rose. View All Ebb & Flow lighting for more information on SMYKKE or view the complete SMYKKE Collection.